Everyone feels the same, you are not alone. 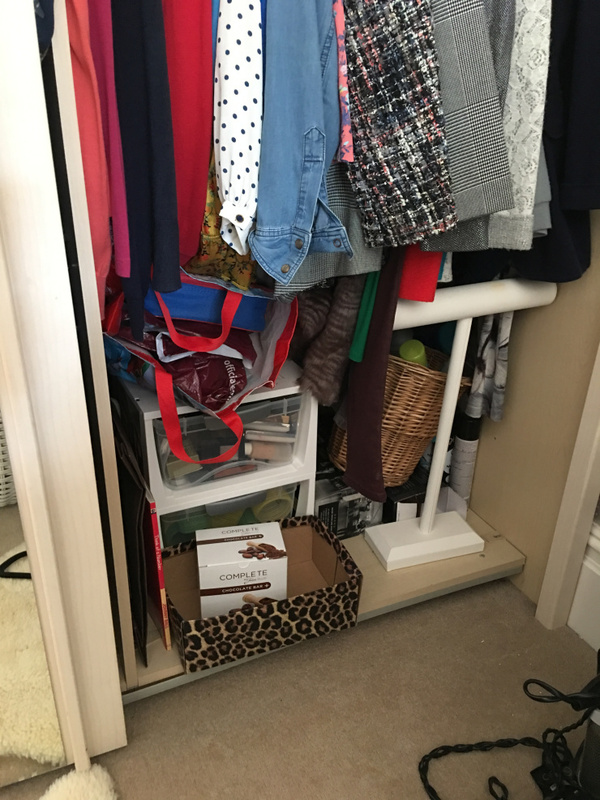 If you find decluttering stressful, then there is a hard task ahead. Hence you are in the right place for advice. 1. Pick a day when you know you will have no interruptions. This is vital. 2. Start with one area only and focus on that. It is hard work, so take your time. It cannot be done in 1 hour, so don’t even begin to rush it. 3. Look at the room and think about what you want to achieve. What is your end goal? Do you need more space? Do things need to be moved around? What can be taken out to create more space? What can be moved? Stand for 5 minutes and just look at what space you have and think. The aim is to transform this room. 4. Start clearing. Every drawer, every cupboard, every box, every, bag – EVERYTHING. Take it all OUT so you are left with bare shelves, bare cupboards, bare drawers. 5. Empty it all – either into another room, the middle of the room or one corner piled up, so you have as much room as possible to move around. 6. Now CLEAN. Clean every area you have cleared out. Move furniture and just clean everything within an inch of its life. It is highly unlikely that anything has been cleaned to this level for a while if it’s been filled with clutter, so let’s do it properly. 7. NOW FOR THE HARD PART. START SORTING. BE RUTHLESS. If it means nothing, has no emotion, no financial gain, then donate or recycle. 8. Now you should have reduced your pile by 3/4. 9. There is no point putting it all back if you do not have the right containers, filing system or hangers, which leads me to… The storage blog post… coming next. If this all seems like way too much hard work already, call and book a Virtual Consultation. I can tell you in minutes what you need to do if you can face it. If that still seems to much work, pay the professional. Let me save you a shed load of stress and time. You will wonder why you never did this before. I promise.